Living in Asia I crave American food every once in awhile and sometimes it’s a full-on crave. Like now. 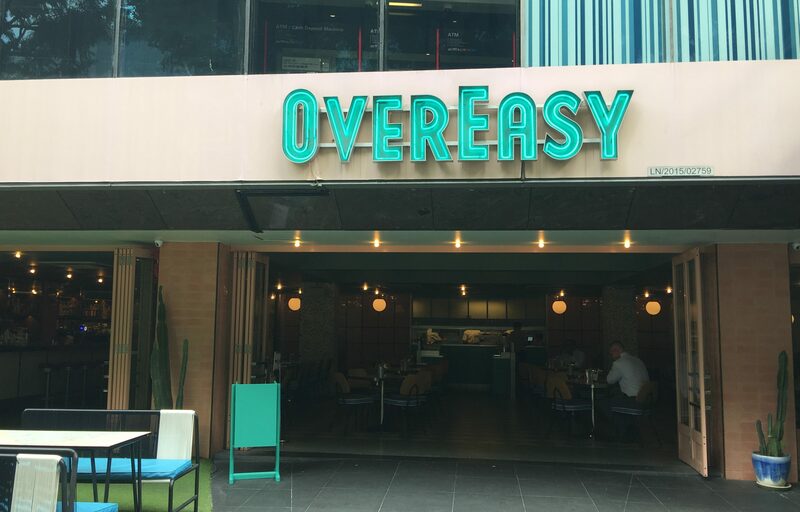 That’s why I decided to try Over Easy, as it advertises itself as an American eatery. I went to the Orchard location at Liat Towers, where there used to be a Wendys. 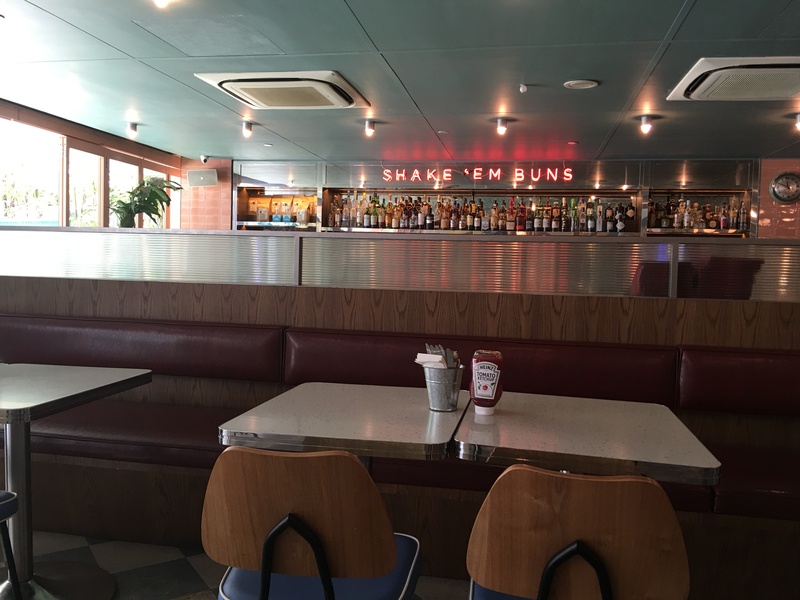 The inside is supposedly modeled after an American Diner. OK, not a bad attempt. 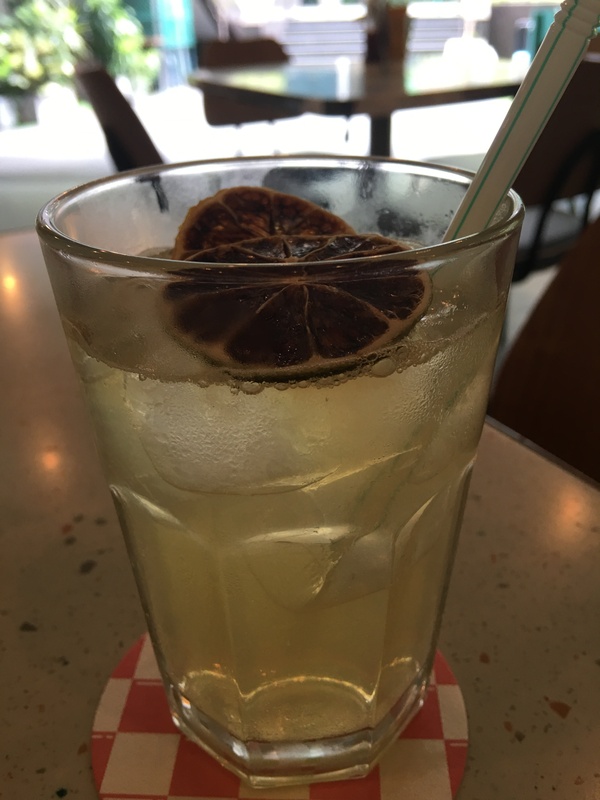 Homemade Ginger Beer. 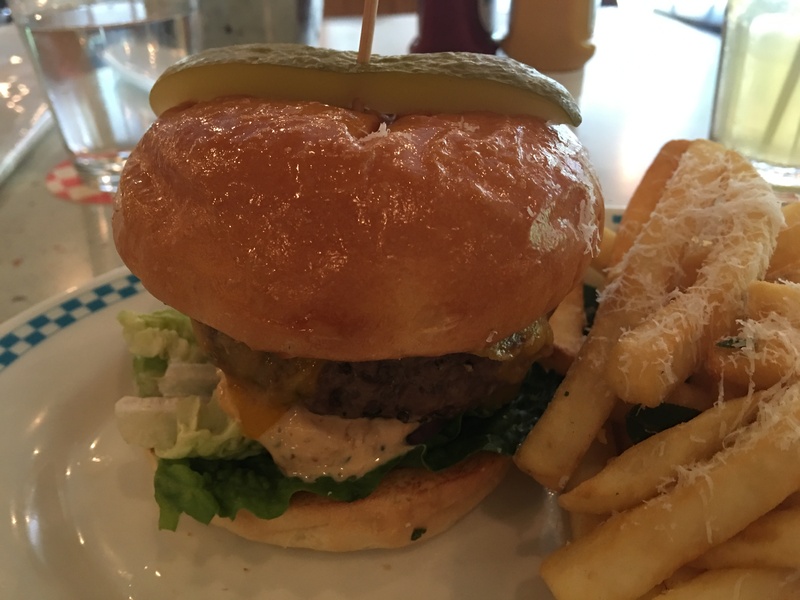 Went for the “To Die For” Burger. It comes with Cheese, Lettuce, Pickle and Tomato and Special Sauce. The Fried have are their special OE Fries which are Sage and Parmesan on top. The Fries are nicely done, though not sure about the Parmesan and Sage. I sort of like them a little more plain – with salt and pepper. Take a look at the Burger though. It looks appetizing. The bun looks greasy, which is a nice, messy start. But me, I like my burgers messy. Add some more ketchup and mustard and that’s a burger! Get in there and make it messy. That’s me. 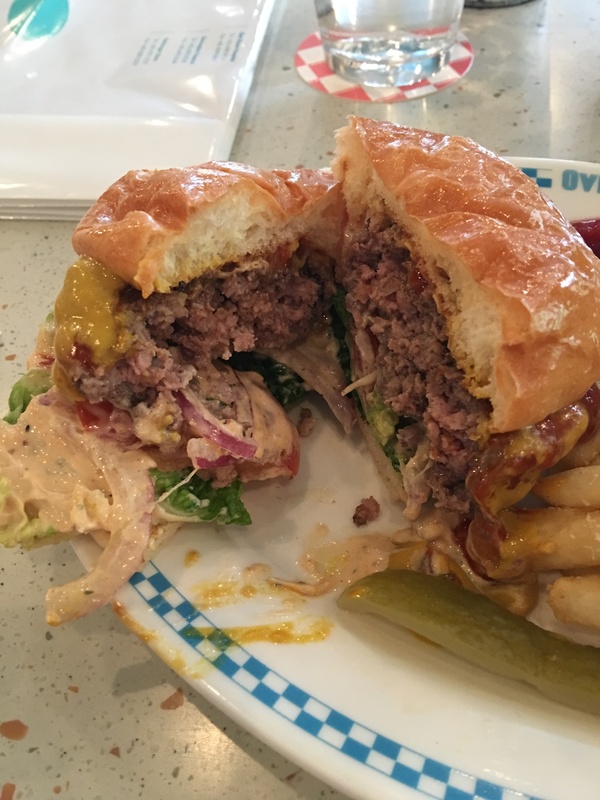 And yes, the burger lives up to it. 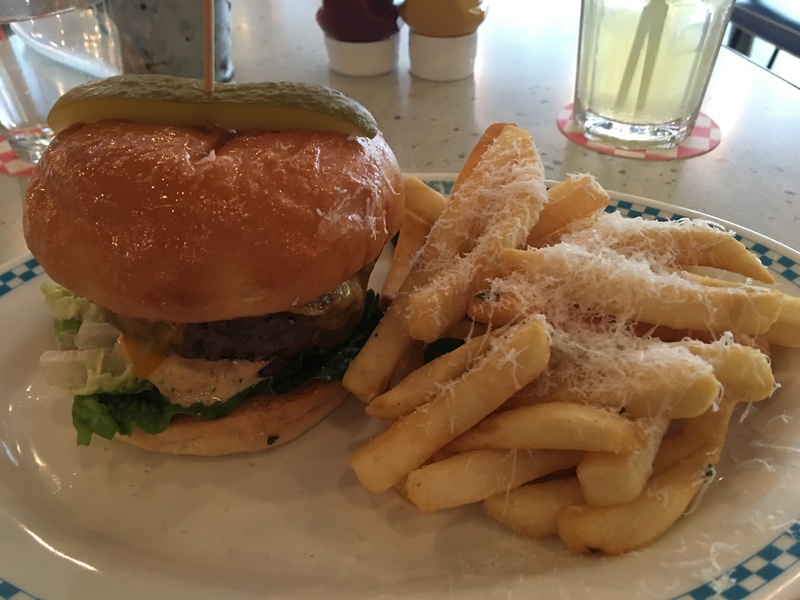 It is right up there with the best burgers I have had in Singapore. I need to try some other items on their menu next – most notably the Buffalo Wings. Posted in Burger, SingaporeTagged Burger, Fries, SingaporeBookmark the permalink.